It’s a visual web. To stand out, you need more than text. Humans remember visual information better than written information. We capture 90 percent of our information visually. You get it — you need to utilize infographics. You’re comfortable with text, paragraphs, and articles. You know which images pop. You have a palette of colors for your brand. But this infographic world is another monster entirely. You need help choosing a style, picking a theme, selecting the elements, and bringing it all together. 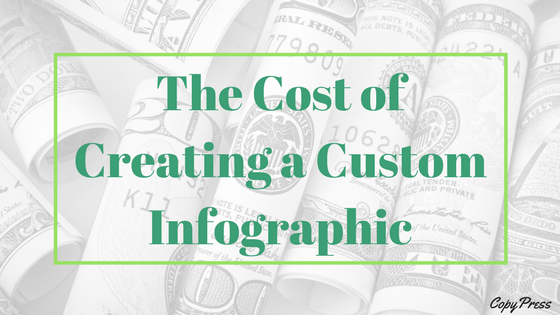 You have some of the necessary skills for creating infographics, but not all of them. Know yourself. Build your strengths and outsource the tasks you’re not suited for. And of course the central business question is: How much is this going to cost? There will be no infographic without info. You may already have plenty of data on your topic, but don’t think that a data researcher won’t dig up some poignant stats you overlooked. You live closely with your subject, and it’s not easy to see something clearly when it’s so close to your face. 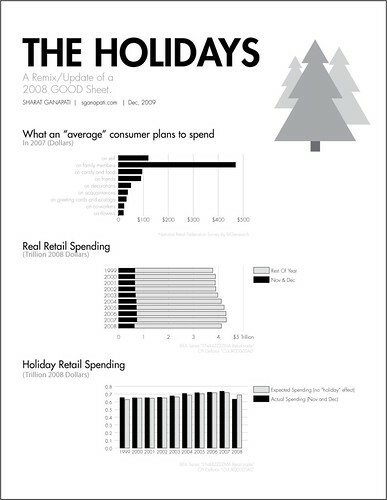 Consider the infographic above on holiday spending. It lists what the average consumer plans to spend, then it shows what “real” spending is. However, it’s on a global scale and not individual. The numbers don’t line up. The infographic compares apples to orchards. Wouldn’t you like to see how expected spending compares with the actual spending of the same consumer? Somebody needs to unearth some more powerful statistics. What information could help you tell this story better? A data researcher is a great addition to your team. You’ll use them today and again in the future. For a one-time project, a quality data scientist will cost between $20 and $100 per hour. You probably don’t need the finest around. You’re not building a colony on Venus —you’re just making an infographic. Expect to spend $100-200 to collect relevant data. 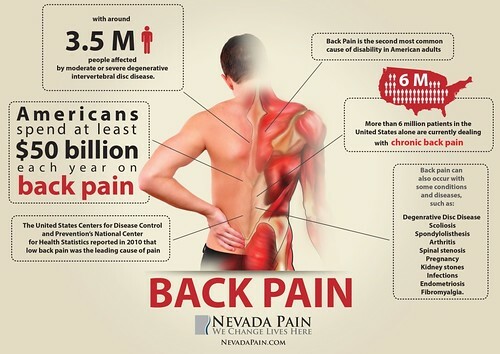 Yes, an infographic is primarily a visual tool, but that doesn’t mean the words are unimportant. Since you’ll be using a few precisely placed sentences and phrases, word choice is critical. You already have some text related to your cause: a mission statement, product descriptions, or an “about us” page. You should have a clear identity and voice for your business. Be sure all of your diction and your entire theme carry this identity and voice. Like a data researcher, an outside writer will bring to light some aspects of your business you can’t clearly recognize. It’s too personal to you. Bring all of your verbal and written material to a writer and see how they would define your organization. Present them with your infographic vision and find out how they would do it. While many writers earn 5 to 15 cents per word, that rate won’t apply to infographic work. Preparation will require a lot of reading and freewriting. The final product will not include many words. Expect to pay $30 to $50 per hour and $100 to $200 for the project. Look a back at the holiday spending infographic. What do you see? You don’t see color or any pictures worth pausing for. That page is like a line of beige track houses. You need an artist to create original graphics for your page. Don’t do the stick man thing anymore. That style is played out. You don’t need anything complicated, though. Your text, data, and graphs are the stars. One color clip-art is fine so long as you make it unique. Use a natural, friendly palette that isn’t jarring. Don’t visually shout. Create a crisp, clean contrast between your text and your background. Black on white is easiest to read. Punch up important parts with pops of color. Three is the magic number. We’re not weaving a technicolor dream coat. Three primary colors are plenty. Also think about the gender, age, religion, and nationality of your audience. Different colors mean different things to different people. Purple is a royal color in Western cultures, but it’s associated with prostitution in Arabic tradition. An expert will help you navigate these waters. If you are reaching out to an unfamiliar demographic, ask potential designers if they are aware of cultural norms and taboos. Prices for designers vary widely. You may pay $5000 or more to an agency for the entire project. Freelancers could charge $50 an hour with an eight-hour minimum. Ask questions, be specific, and look deeply into their previous work. It’s not brain surgery. It’s not rocket science. It’s computer science. No one will die or end up on the wrong planet if you mess this up. You can learn to build infographics. Knowledge is power and learning is a life-long process. Yet when it comes to learning, ask yourself how often you will use the skill. Taking the time to gain an ability but use it only once may not be worth the hours. Learning something to use daily for life is worth the effort. Also ask yourself if you could delegate this task and do something more valuable with your time. Should you focus on networking, product sourcing, manufacturing, or other skills you excel at while an expert handles your infographics? It’s your call. If you choose to educate yourself, you can pick a number of paid and free learning sources. Regardless, you should spend significant time looking at other infographics. Search the web and you’ll find a myriad of good, bad, and ugly. Save all the ones you find noteworthy for the best and worst reasons. Note what you like and don’t like. This will help you pick your own original design. Infographic design is a team sport. You’ll need research, writing, art, and design. Some of these talents you already have, either personally or on your team. For the ones you don’t have, let us help.